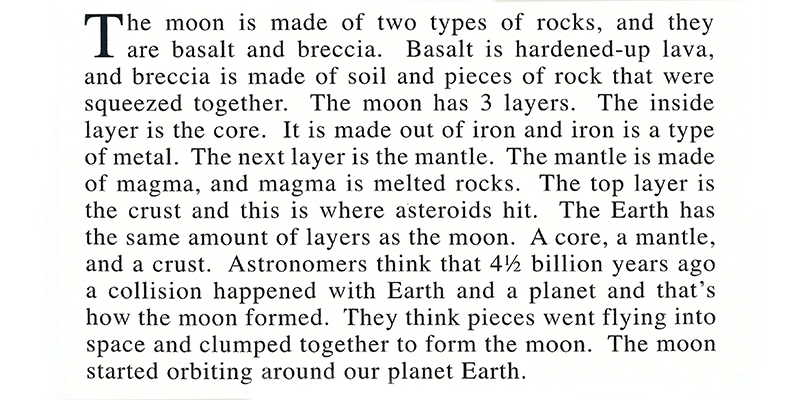 This book was written as part of a three-month learning expedition on astronomy. It was written to help introduce other students to these topics. 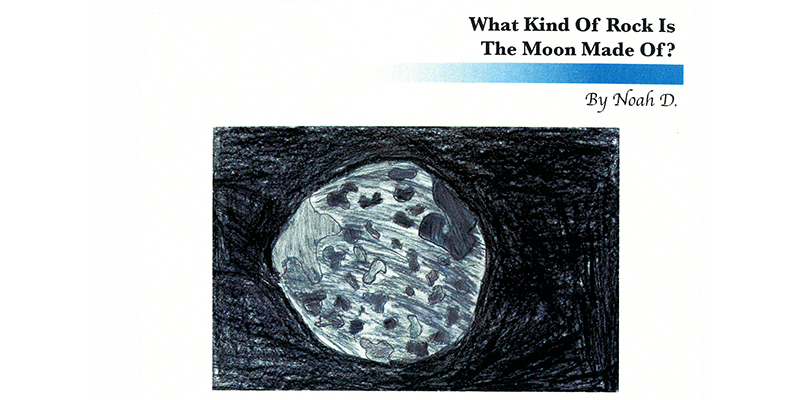 In this culminating product, students brainstormed questions they had about astronomy – ones that deeply interested them. Students researched the answers to their own questions and then shared their answers via both text and illustrations. I can write an informative/explanatory text.